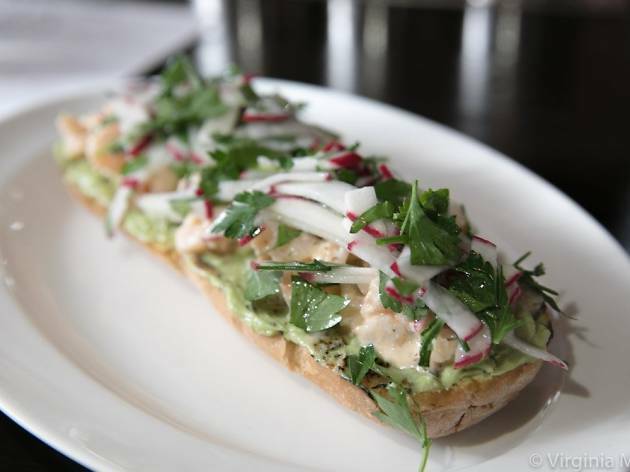 Alba Ray’s combines trendy toast with classic shrimp remoulade in one of their tastiest new menu additions. 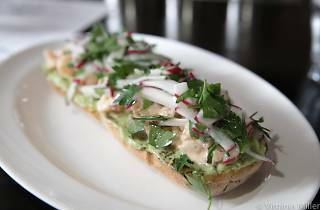 In New Orleans, shrimp remoulade is a ubiquitous dish showcasing Louisiana-style remoulade (vs. the original French version) typically in shrimp salad-esque form or over fried green tomatoes. Here, the lively mayo-based spread and shrimp is smartly spread over crispy toast—pair with a light Ramos Gin Fizz or tart Hurricane. Alba also recently launched weekend brunch and weekday lunches (including $1 martinis on Mondays).